In year 1 we have started thinking about keeping safe online. With Miss Rumbold we talked about the different ways that we access things online and what we have at home that we use. We counted how many children in the class used each item and recorded it on the board. 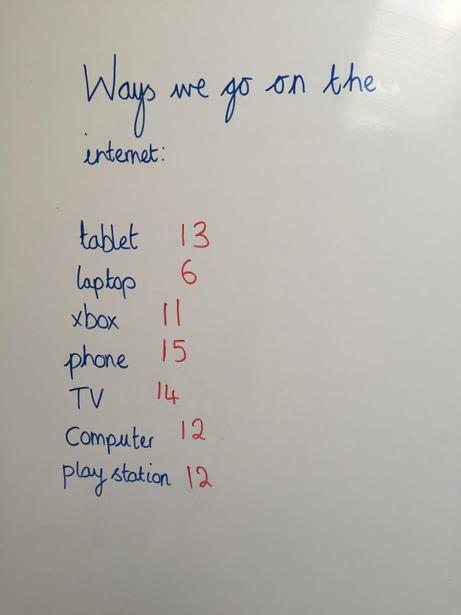 Once we had found out all the different ways we can get online, we talked about how we could keep safe. We decided that when creating a login for anything online we should NEVER use our real name or a picture of ourselves. Instead we created our own login pictures and pretend names for our accounts.